The A30D Volvo dumper packs power, reliability, speed, industry-leading technology and productivity that is unique to this model. Meet the Volvo A30D Articulated Dump Truck (ADT), a low-fuel-consumption Volvo dumper that packs a punch of high load capacity, powerful dump hydraulics and the potential to maintain high average speeds. Considerably one of the leaders in the industry for articulated haulers and the market leader in operator environment, Volvo are renowned for their comfort, low cost and environmentally friendly designs. The award-winning cab in the A25D model solidified this position, with its outstanding performance, productivity and low fuel consumption features that made it an ideal machine for navigating the earthmoving industry. But does the Volvo articulated hauler A30D match up? Read on and see our full review on this Volvo dump truck including everything you need to know about the Volvo’s A30D specs! 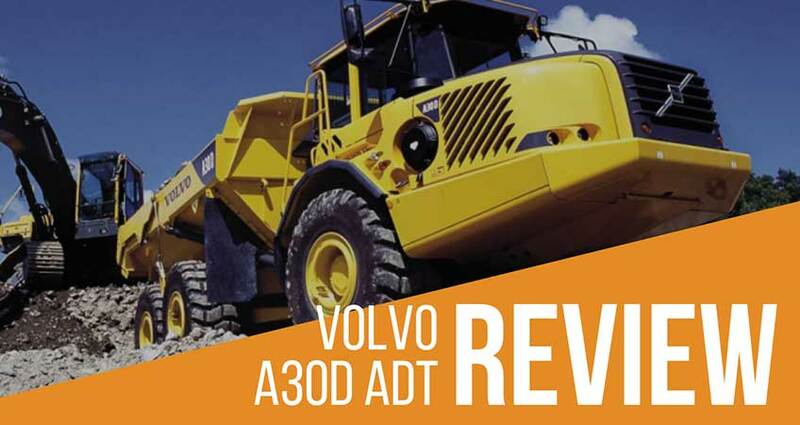 Whether your company is within the quarrying, mining or construction industry, the Volvo A30D ADT packs power, reliability, speed and productivity that is unique to this model. Leading industry technology provides users with a quality experience that merges stability and outstanding precision. 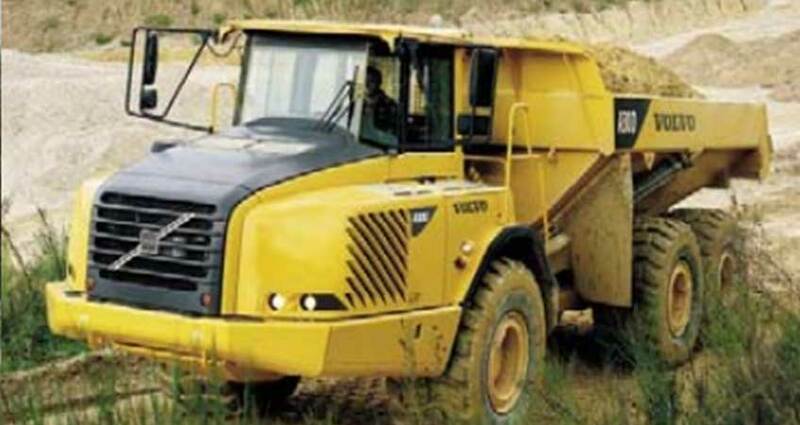 This Volvo dumper has a remarkably high load capacity of 28,000 kg (31.0 sh/tn) with the standard body. Due to a higher body volume, the machine can haul bigger loads at fast speeds. The in-house developed engine, featuring Volvo’s patented Load & Dump brake, as well as speedy dump hydraulics, gives this Volvo dump truck the potential to create fast, consistent paces on the worksite (the A30D can go up to 53km/h). This results in high-efficiency work cycles, for lowest running costs possible. Volvo’s patented Load & Dump brake function is an excellent perk in the A30D, maximising ergonomics and boosting its productivity. Essentially, it means that the operator only needs to press a single button to automatically apply the trailer brakes and shift the transmission to neutral, when the articulated hauler is positioned for loading or dumping. Over a working cycle, this can save a large amount of time and effort. In addition to this, the double-acting hoist cylinders enable users to cut time at the dump site. With optimised pressure and oil flow, a fully loaded body is hoisted in just 12 seconds and lowered in 9 seconds – with complete control. 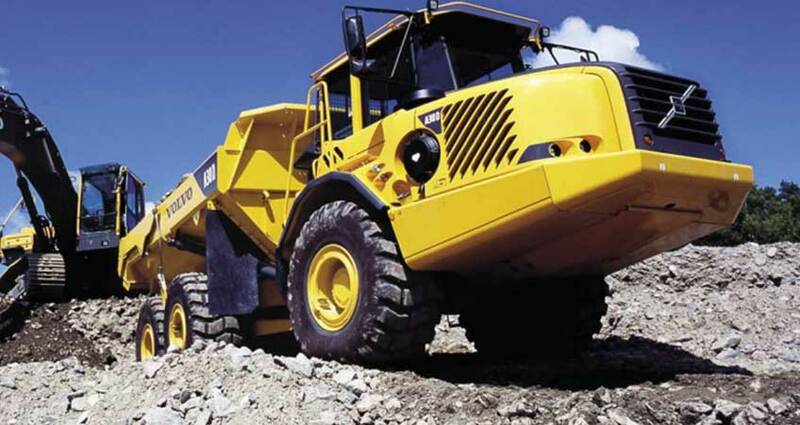 This excellent hydraulic system gives users precision handling, even on uphill locations. 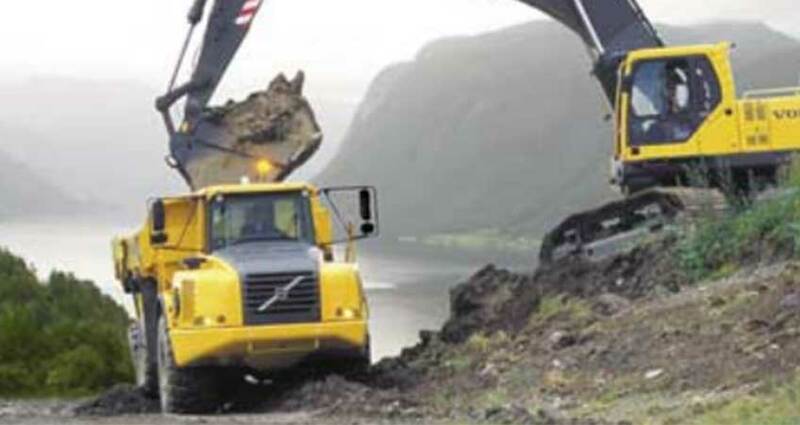 The fact that it has high ground clearance and high placement of the dump joint and a unique body shape also gives this Volvo ADT enough control to dump the load over the dump edge, reducing the requirement for dozers. Known for their excellent drivetrain, the Volvo’s A30D articulated haulers do not disappoint. The in-house developed drivetrains not only offer optimal rimpull, they also provide higher operating reliability and a considerably lower fuel consumption in comparison to competitors. This Volvo dump truck’s higher rimpull makes uphill runs noticeably quicker. Shifting is automatic, and the transmission always shifts at exactly the right time and without rimpull loss. This gives the operator the freedom to select the necessary drive mode for the terrain with ease. Another way this Volvo dumper saves time and, in turn, cuts costs. The A30D provides exceptional power and steering capabilities that can conquer more difficult terrains. Industry-leading, maintenance-free hydro mechanic steering is armed with a rotating hitch design that enables operators to defeat rough, wet, or rugged terrain. In addition to this, Powertronic transmission boosts performance even further, giving operators full control, power and flexibility for a range of terrains that is entirely unique to a Volvo ADT. If you’re working on a good haul road, you will have the choice to operate with a 6x4 drive to save fuel and reduce potential tyre wear. This is something that no other competitor offers, and what makes the A30D such an essential product to any earthmoving company. As well as the above, features such as 6x6 drive and 100% differential locks on one or all axles make operating in difficult conditions far easier, whilst differential locks can be selected when on the move. This gives operators the handling and versatility to keep control in varying ground conditions and weather. Designed to provide companies with optimum productivity and results, the A30D Volvo dumper also ensures that the safety of operators and staff is at its highest. As well as having a FOPS and ROPS cabin, the Volvo A30D specs also features an engine bay fire suppression system that will automatically activate once any fire is detected. Not only does this give operators increased safety, it also prevents any further damage to machine and engine. Every aspect of this Volvo dump truck has been crafted and designed to provide operators with the highest control and ease of use. The A30D includes an informative instrument panel that gives the operator a clear, easy-to-understand overview of all the essential information. This benefits the operator by giving them the opportunity to plan their work for optimum fuel consumption and productivity. In addition to this, a clear operator communication system makes digesting information about the work cycle much easier and more accessible. Extra perks prove that the A30D Volvo articulated hauler is a machine that will benefit any earthmoving company hugely. Within the cab, there is a large amount of storage space and the trainer's seat can be lowered and used as a table. Not only does this give operators added comfort and ease, it means that the dump truck can be given additional functionality and be used for extended periods of time. Cab lights and a 24V power outlet close by add to its convenience. The Volvo A30D has been crafted to ensure high-efficiency work cycles and a reduction in costly up-keep payments or add-ons. From the in-house designed engines that enable faster work paces and lower fuel costs, to the articulated haulers that reduce the need for daily and weekly servicing (scheduled greasing is only needed every 250 hours! ), this machine is pure value for the cost. 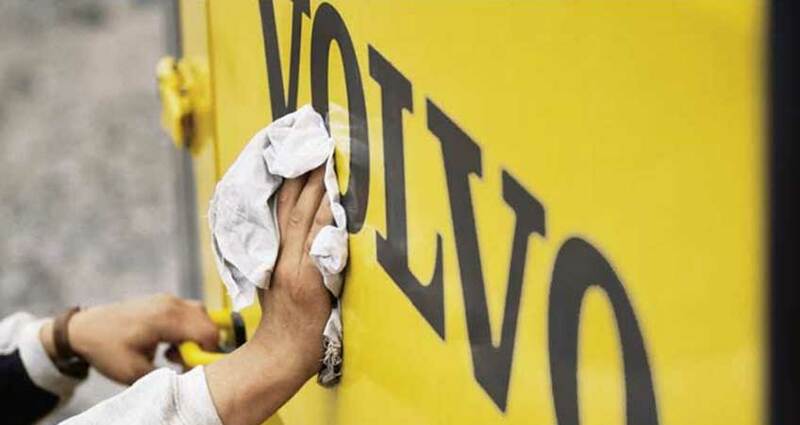 When you purchase a Volvo ADT, Volvo offers its customers unique support, making a point to support customers with advice, guidance and help to increase productivity whilst saving money. Their personnel are trained to deliver clients with minimum downtime and maximum cost control, further outweighing the investment that you’ll ultimately need to make in these machines. In addition to this, every one of Volvo’s articulated haulers is designed for minimal environmental impact, thanks to their core value of environmental care. 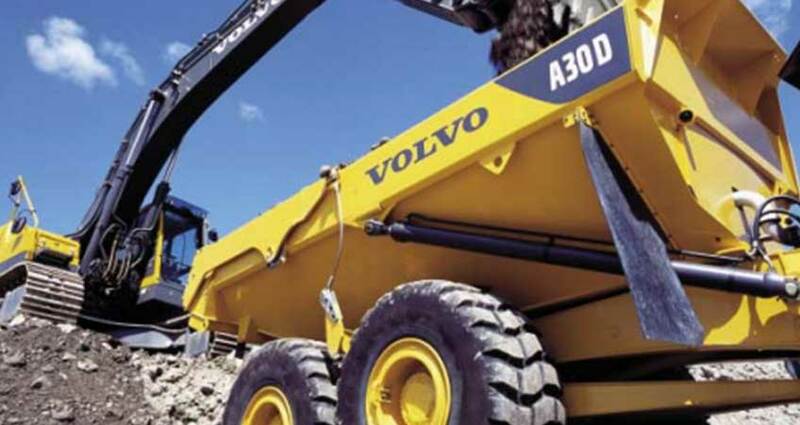 Volvo A30D Dumper - Hire or Buy? If you’re still not sure if the A30D is the right Volvo dumper model for you, consider trying before you buy. iSeekplant has thousands of articulated dump truck hire suppliers including Volvo dump trucks available for rent Australia-wide. Search for an articulated dump truck to hire for your next project here.